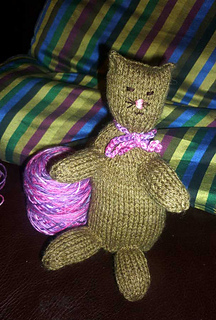 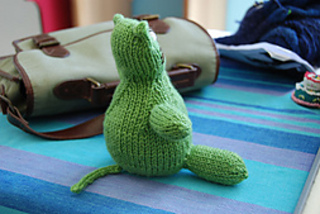 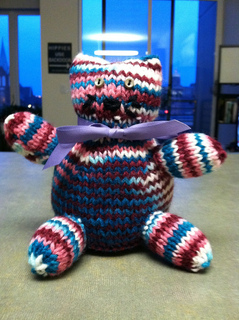 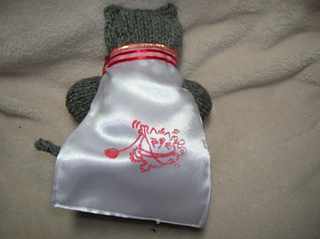 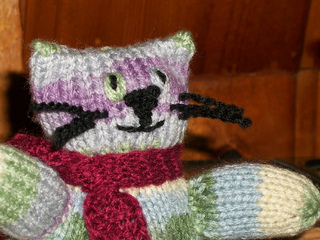 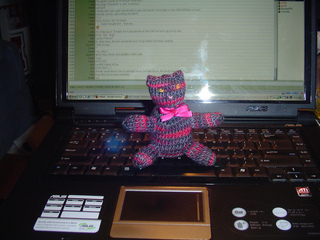 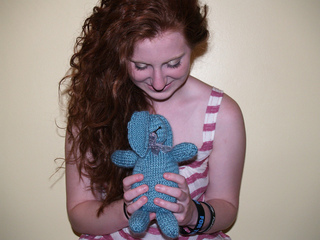 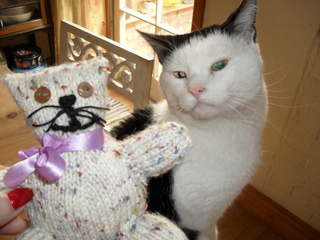 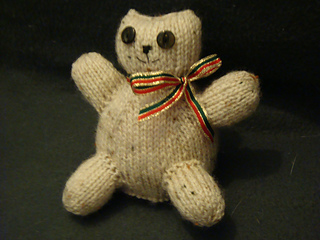 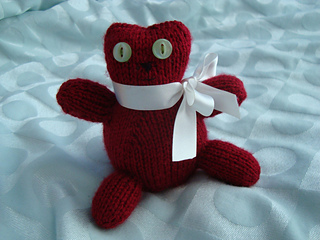 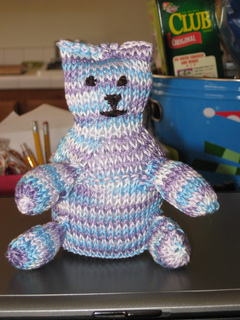 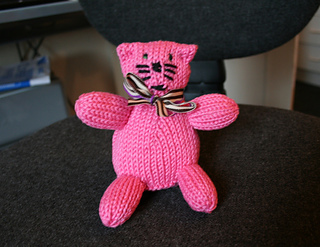 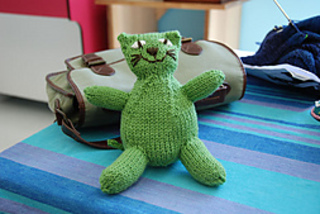 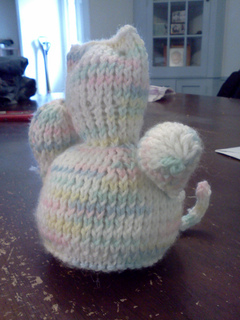 If you can cast on, knit, purl, increase, decrease and cast off then you can make a Swapsie Cat. 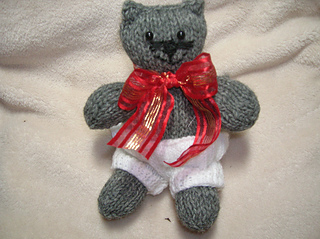 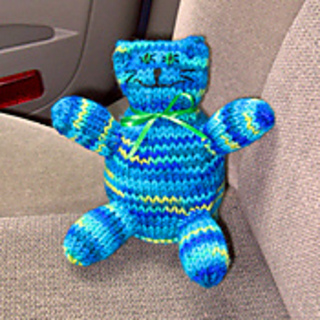 He was inspired by the Knitted Kitty Swap on Ravelry, so go ahead and make a kitty for yourself, your swap partner or a friend. 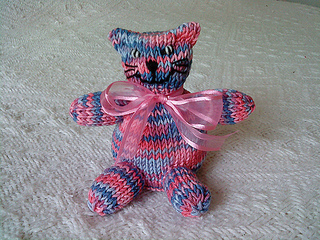 A 50gr ball of yarn is enought to make one Swapsie. 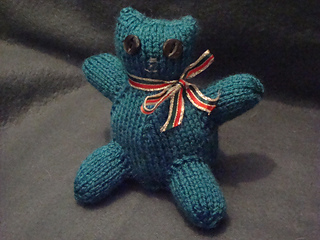 You will also need a little yarn or embroidery silk for his eyes, nose, mouth and whiskers, as well as stuffing. 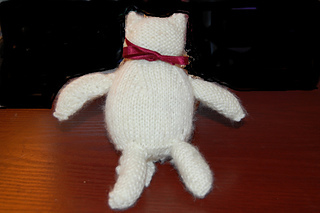 His body and head are knitted base-up in one piece, then his limbs and tail are made and sewn on separately.